The National Economic Council (NEC) has resolved to take consultation on the new N30,000 minimum wage being demanded by the organised labour to the Council of State, meeting on Tuesday, the Minister of Labour and Productivity, Chris Ngige has revealed. This is even as governors have insisted that payment of the new minimum wage will not be possible without a review of the present revenue-sharing formula in the country. A source privy to the NEC meeting said that the governors’ stance prompted the Federal government to decided to take the governors’ request to the Council of State schedule for next week Tuesday. 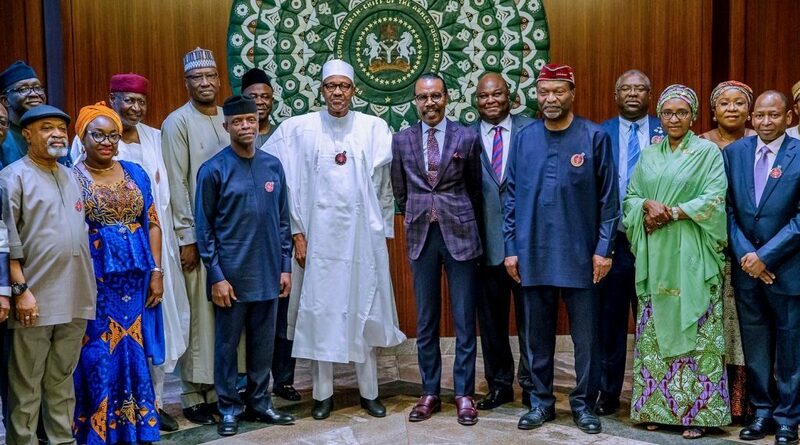 Tuesday’s Federal Executive Council (FEC), emergency meeting presided over by President Muhammadu Buhari had resolved to take the issue to NEC for further deliberations. The Federal government agreed with organised labour last week Tuesday to forward the executive bill on minimum wage on or before January 23 to the National Assembly to avert the planned strike by labour. Labour had threatened to shut down the economy on January 28, and even vote against any candidates in the forthcoming elections that refuses to implement the new minimum wage of N30,000. While the Federal government had proposed N24,000 as the new minimum wage, the governors insisted on N22,500 but labour is also adamant on N30,000 which was agreed upon during the Minimum Wage Tripartite Committee meeting whose report was submitted to the president. The Council of State consists of the president, who is the chairman; vice-president, who is the deputy chairman, all former presidents of the federation and all former heads of the government of the federation, all former chief justices of Nigeria, president of the Senate, speaker of the House of Representative, all state governors, and attorney-general of the federation. The last time the council of state meeting held was 11 months ago, on February 22, 2018, to deliberate on Nigeria’s economy, security and 2019 elections. The council advises the president in the exercise of his powers with respect to the national population census and compilation, publication and keeping of records and other information concerning the same, prerogative of mercy, award of national honours, the Independent National Electoral Commission (including the appointment of members of that commission), the National Judicial Council (including the appointment of the members, other than ex-officio members of that Council), and the National Population Commission (including the appointment of members of that commission). The council also advises the president, whenever he requests for so, on the maintenance of public order within the country or any part thereof and on such other matters as the president might direct. Absent at the last meeting were former President Shehu Shagari, Gen. Ibrahim Babangida, Chief Ernest Shonekan and President Goodluck Jonathan. While Shagari and Shonekan were apparently absent as a result of old age, Babangida had been indisposed for quite a period. However, former Heads of State, Gen.Yakubu Gowon, Gen. Abdulsalami Abubakar and former President Olusegun Obasanjo were in attendance. Also in attendance were former chief justices of Nigeria, Mohammed Uwais, Idris Kutigi, Alfa Belgore and Aloma Muktar. The meeting, chaired by President Muhammadu Buhari, recommended for approval the proposal to increase funding for the agricultural special programme from $200 million to $1 billion with the disbursement done through the CBN’s Anchor Borrower and Cart programmes, in order to encourage diversification of the economy and promote food security. Speaking to State House correspondents on the outcome of the NEC meeting, Ngige said: “Well, there is no outcome as such; it’s work in progress. The Information Minister told you the other day after the Federal Executive Council meeting that we are taking our deliberations to the National Economic Council and then we close up on the 22nd at the National Council of State. After that, we will be able to say where we are going.